It is never easy dealing with addiction to drugs or alcohol. Taking the crucial step of reaching out for help is very significant indeed, although it is just the beginning of the journey. For many years after leaving substance abuse behind, the underlying issues causing addiction can remain in play. The best heroin rehab centers provide people with the tools so that they can regain control of their lives for many years in recovery. The holistic approach to heroin addiction treatment allows individuals to get the best components of traditional and complementary therapies in integrated programs. Holistic heroin rehab heals the person as a whole, in terms of their physical, mental and emotional health. In this article, we take a closer look at how holistic drug rehab can be beneficial to people dealing with heroin addiction in San Francisco. What Is Holistic Addiction Treatment, Anyway? Holistic therapies have their roots in ancient times, long before conventional medicine was discovered. In the absence of modern drugs, the holistic approach was used to help people trigger natural healing mechanisms to fight disease. In the best heroin rehab centers, holistic therapies allow for significant self-exploration which opens the door for individuals to identify and address the root causes of addiction. San Francisco heroin rehab centers provide people with a clear path towards maintaining recovery. Many of the tools learned in alternative therapies like meditation, yoga, aromatherapy and massage, can be used as coping mechanisms to protect sobriety. When used in combination with evidence-based therapies such as CBT, holistic rehab has been shown to be highly effective in promoting long-term recovery. What are the Benefits of Holistic Treatment? One of the main benefits of holistic drug rehab, particularly for people overcoming heroin in San Francisco, is that the healing process takes time. Addiction is an illness that takes time to develop, following a characteristic pattern that worsens over time unless the individual seeks help. Rehabilitation from heroin in San Francisco requires significant lifestyle changes and so it naturally takes as long as it takes for a person to complete their treatment program. Another benefit of holistic rehab is that individuals are able to find natural treatment paths, without using prescription medications. This is particularly important when heroin has been abused as it can be easy to switch dependence from one substance to another in treatment. Holistic practitioners believe that modern medicine does little more than treat the symptoms, whereas the complementary approach deals with the underlying causes. Holistic practices and therapies like meditation and yoga have been shown to help people overcome the physical symptoms of heroin withdrawal. Holistic rehab generally follows a 3-month program for detox, which allows people to rid their bodies of the toxins accumulated from heroin abuse in completely natural ways. Engaging in guided or individual meditation during the detox phase of treatment provides significant relief from withdrawal symptoms. Massage therapy is also highly effective when used during detox as a way of dealing with physical aches and pains associated with heroin withdrawal. Holistic therapies are very focused on restoring balance. People who have been in the grip of addiction very often lose a sense of their own identity. They may no longer know why they behave the way they do or that they are hurting others in the process. This is because one of the characteristics of addiction is that a person will lose all control over when they use heroin and will continue to do so even when they no longer want to. Heroin addiction is the result of a continued pattern of behavior that is extremely negative. It starts when a person becomes tolerant to the substance, requiring bigger doses to get the desired effects. This soon leads to dependence, which is when the body starts to crave heroin when the person is not using. Cravings are exhibited by emerging withdrawal symptoms as the body cries out for more heroin. Unless the individual seeks treatment, they will be unable to break this negative pattern on their own and will continue to descend further into addiction. Holistic therapies are effective in breaking the negative behavioral pattern that fuels addiction. This is necessary for a person to overcome and recovery from heroin drug San Francisco, although it is not just a case of detoxing and feeling fine from that point on. Due to the physical, mental and emotional impacts of addiction on a person, each area has to be dealt with in treatment in order to restore overall wellbeing. The best heroin rehab centers provide people with several mechanisms they can use to help them continue in sobriety, without relapsing to heroin use when faced with triggers for substance abuse in recovery. Nutritional education and physical fitness are important components of holistic heroin rehab and play a crucial role in boosting long-term recovery. 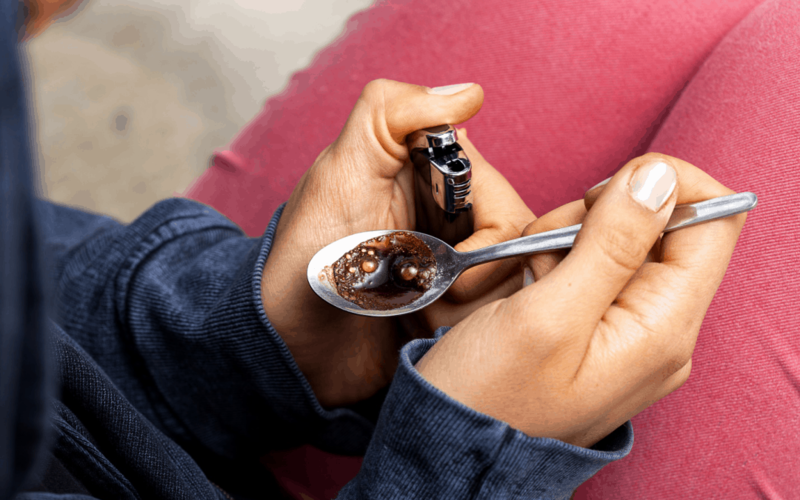 Many individuals who have struggled with heroin in San Francisco will have neglected themselves and their diet as they become progressively more controlled by their illness. It is not unusual for people to enter San Francisco heroin rehab centers with nutritional deficiencies which can have a significant impact on their wellbeing. The best heroin rehab centers offer nutritionally balanced meals, using the freshest ingredients with high levels of vitamins and proteins. When combined with an exercise program, a good diet is the best way of restoring balance to an individual who has been abusing heroin for a period of time. As the individual’s physical health improves, their confidence levels and self-esteem are boosted, providing them with extra motivation to continue with a healthy lifestyle. Providing compassionate and personalized addiction treatment services, including outpatient and inpatient addiction treatment facilities in California (while serving nationwide) our professional and empathetic staff go the extra mile to fully assess the treatment need and desires of our clients. If you or a loved one has looked for addiction help only to find “one-size-fits-all” programs, or even if you’re looking for the first time, please call Elevate Addiction Services today.